TOLL FREE LINE AT 1-888-693-3652. Visit our Facebook Page for MORE Discount Coupons! Don't Forget to BOOKMARK this Page for Future Orders. If you are looking for Energy 2 or Amp II, both have been discontinued. We recommend EFS Energy, XL as a replacement. EFS Burn Away Fat (1 - 1oz bottles) *contains CitriMax for added craving control. Please Use EFS Energy, XL as a replacement for Energy 2 Drops. To Review products in Shopping Cart Click on Shopping cart symbol to the right. Now select any quantity of 4 bottles. Now select any quantity of 8 bottles. '00' Size Empty Gelcaps. 250 per Bag! 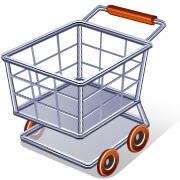 To Review products in Dynamic Force Shopping Cart Click on Shopping cart Symbol to the right. These products are NOT like the original Amp II or ThermoAmp Drops produced by E'OLA. These are similar to the last product that EOLA had on the market called LiquaGen & Thin II. These products are for people who are sensitive to stimulants like caffeine. If you wanted LiquaGEN & Thin II, THESE are the Products you should buy. These Products DO NOT Contain Ephedra. To Review products in NxGen Shopping Cart Click on Shopping cart symbol to the right. *The statements on this page have not been evaluated by the FDA. This product is not intended to cure, diagnose, treat or prevent any disease. Any sale of this product to persons 17 years or younger is prohibited. Do not use if pregnant or nursing. Consult a physician or licensed and qualified health care professional before using any of these products or beginning any diet regimen to discuss possible risks. Do not use If you currently have or have a family history of having heart disease, diabetes, thyroid disease, high blood pressure, recurrent headaches, depression, glaucoma, difficulty in urinating, respiratory concerns, prostate enlargement or seizure disorder or if you are using a (MAOI) monoamine oxidase inhibitor or other prescription or over-the-counter drugs or any medical condition which requires treatment/physican visits on a regular basis. Possible risks include headaches, increased blood pressure, rapid heart rate, nausea, jitters, stroke, or heart attack. Use ONLY as Directed under the care of a licensed physician.